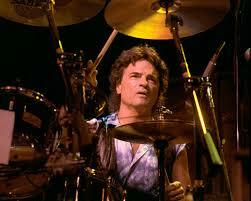 I've been a fan of drummer/songwriter, Joe Vitale, since his...“Rocky Mountain Way”...Barnstorm days. Co-writing the classic song with his longtime friend and bandmate, Joe Walsh...”RMW” has made summer day road trips better for everyone since 1973. Joe Vitale has also provided drums and other skills for dozens of other artists. Sessioning on their albums and working on their tours. Along the way, Joe Vitale has recorded 3 albums of his own and has no shortage of music friends ready to lend a hand. After almost 50 years in the business, it gives me no small measure of joy and comfort...knowing that at any rock and roll moment...Joe Vitale might still grab a piece of seat and begin wailing the loving bejesus out of his drums. Go get you some. Casey Chambers: I'd like to begin by asking you about the song..."Lady On The Rock" from your album "Plantation Harbor." (1981) I heard that song the other evening on KSHE radio and was reminded what a great song that is. How did that tune come together? Joe Vitale: Oh, I was in New York City. And for the first time, I decided to go see the Statue Of Liberty. And at that time, there had just been all kinds of terrible junk going on in the world. It was a sad time. But then...there was the Statue of Liberty. Right there. If you've ever been, it's a pretty awesome sight. And it just made me appreciate being in America. And we got quite a bit of airplay with it. We even got some play at the Olympics. Both "Lady On The Rock" and another song called, "I'm Flyin'" off the same album. They used that for some downhill skiing in the...it must have been the '84 Olympics. Casey Chambers: That'd make you spit your coffee. How very cool! Joe Vitale: Yeah, it was awesome. Joe Vitale: Well, that was a real phone call. I was calling Joe Walsh. Actually, it was Joe's idea. He says, 'Call me up and I'll refuse the charges.' We just did goofy things like that. But that's very typical of Joe. And the operator wasn't very happy with us. (laughs) Just silly stuff. Casey Chambers: For over 40 years, you've been rockin' the drums and it's a lot of fun for fans to cherry-pick. So I'd like to do just that. You were the drummer on the song ..."In The City." A song Joe Walsh had written for the cult film, "The Warriors." What do you recall about that session? 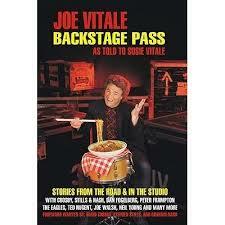 Joe Vitale: Well, I got a call from Joe, and he said we're going to go to a studio to record a song for some movie. I didn't know what the movie was or anything. And when we got to the studio, there were Hollywood people everywhere. Hollywood producers and movie people. It wasn't like a normal rock and roll session. Joe wrote this song for it called, "In The City." Really killer song. We watched some of the footage from the movie...which turned out to be "The Warriors" (1979) ... and we cut that tune. And at the end of the day, I was like, 'Wow! That was pretty cool.' He just called and said we're gonna do a song for some movie. So I was just thinking it was maybe going to be an instrumental or something like that. But it was a full blown song. I didn't really know where the song was gonna be used. I was watching the movie, and it was nearing the end and we still hadn't heard the song. I was like, 'What happened to our song?' (laughs) Then all of a sudden, there it was. Playing over the end credits. It was really exciting. It sounded really good with the big audio systems they have in the theaters. And just like that, there was a duo that had never happened. Stills and Young. They were together in Buffalo Springfield, but... And that record..."Long May You Run"...was so fun to make. Neil Young is awesome to work with. That record was great to work on. It was so laid back and fun and we were in Miami. And a lot of Neil's songs were about Miami. Like a sunny, tropical zone. The album did quite well. It went Gold. And we got, "Long May You Run" out of it. We did pretty good on it. Casey Chambers: In the 70s, you were a member of the band...Barnstorm. And you co-wrote one of the signature rock songs of that era...."Rocky Mountain Way." Joe Vitale: Yes, I did. Casey Chambers: What was the genesis for that song? It's so much fun to crank. Casey Chambers: Hell yeah! What was touring like for you guys during those Barnstorm days? Joe Vitale: Oh, those were the days. In those days, jeez, we did about 250 shows a year. That's unheard of now. We'd leave home and we'd be gone for eight months. GONE! I mean, never going back home. We would play a city and then 60 miles away, we'd play another city. And another 60 miles away, we'd play another city. We played every nook and cranny in America. We did that for three or four years. We played every place that had rock and roll. And back then, in the '70s especially, there were a lot of rock and roll clubs. We didn't just only play big arenas and places like that. There were all these cool clubs where the people could get right up next to you by the stage. They were smaller and more intimate. We liked playing those places, 'cause we were real close to the audience. They were like two feet in front of us. And they'd behave themselves, even if they were drinking. (laughs) They didn't rush the stage or anything. That's silly. But they'd have a good time. It's just fun to play when you can actually see the people. Casey Chambers: Who was warming up for you guys while on the road? Or vice versa? 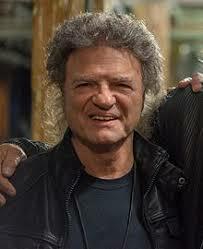 Joe Vitale: We toured a lot with REO Speedwagon. We toured a lot with Jimmy Buffett. We toured a lot with The J. Geils Band. And believe it or not, The Eagles opened for us. Sometimes we remind them of that, but they don't like it. (laughs) But they did open a few shows for us. They were just getting started. We were too, but we happened to be gathering a few more fans at the time as far as just...the timing of it all goes. Obviously, they went on to become mega-stars. But there were tons of bands we played with because back then, you'd pay three or four bucks for a ticket, and you could see three bands. We played with Kiss. Oh man, you name them, we played with them. We did shows with The Who. We opened for them of course. But we played for everybody. We even played at the same show as The Stones. Back then, there were smaller places where we headlined, and then we played bigger places where we opened for a much bigger group. But we played nonstop. All year round, we would work. And that was good because we were having fun, we made a few bucks, and we were gathering fans. And that's what it's all about. Casey Chambers: How important was FM radio in the early '70s for Barnstorm? Joe Vitale: Well, FM radio was it all. There were still AM stations back then that were playing rock and roll. They would play singles and stuff. But FM radio...we depended on them to play the rest of the album. Of course, they'd play the singles too, but also some of the obscure, cool little tracks on different bands' albums. Ones you'd never hear on AM. And FM...sometimes they dedicated whole evenings to...'We're going to play the entire new Eric Clapton album.' It was like...awesome! You could hear the whole album. So yeah, we really depended on FM radio. Everything's totally different now. I'm not crazy about the way it is, but you just deal with it. Ya got Sirius Radio and classic rock radio, but it's not the same. There's a lot of classic rock artists...I mean, put Paul McCartney in that category...all of these people make records and sometimes you hardly get to hear them. So they make their records and they make their CDs and downloads and whatever they sell at gigs and shows, but I mean...how can radio NOT want to play a new McCartney record? I mean, c'mon! (laughs) So, it's different, but we're surviving. We can deal with the whole new technology and we sell a ton of CDs at shows, but it's a little different. I really miss the record stores, though. Not that everything has to be on vinyl, but I miss stores where what they sold in the entire store...was music. I remember how fun it was...like when a new Zeppelin album would come out. And we'd be in a line that would go halfway around the block to get into the record store. And that's all gone and it's sad because that was exciting, ya know? Times have changed. Casey Chambers: You mentioned The Eagles earlier. The last time I flew down to Dallas-Fort Worth, I heard "Pretty Maids All In A Row" piping through the airport. What a wonderful song. You helped write that song. Could you talk a little bit about that one? Joe Vitale: Well, they were making "Hotel California," and Joe Walsh was writing this song. And he didn't quite have a title for it yet He had a couple verses of lyrics and he had verse music. He had a beautiful start. And Joe called and asked if I'd help him finish writing this song. We wrote all kinds of stuff together. So I went over to his house. I heard what he had and I sat down at his piano and I threw a few things at him. We were there for two or three hours, until we finally arrived at it. I wrote the chorus and added changes in the chorus. And then he added the words. And in a matter of two or three hours, we finished it. And it became a beautiful song. We were so proud of it. Don Henley and Glenn Frey...they totally loved the song. And it went on "Hotel California." And that was an honor because they were screening songs very carefully for that album. I'm sure there was probably 50 songs written for that album and they screened them all and they narrowed it down to however many songs they were going to put on it. To have made the cut and get a song on that record was a pretty awesome honor. That was cool. Casey Chambers: And I believe "Pretty Maids..." was also tagged as the B-side for the 45 of "Hotel California." That's a nice ride. Joe Vitale: Well, that blew my mind. Ya know...B sides...they weren't that important, but ya didn't just throw anything on there. Especially a group like The Eagles. They wouldn't throw just anything on a B side because first of all, everything they cut was awesome. They didn't make any bad recordings. They were all great. To get that on the B side of their biggest hit....I think their biggest hit of all time...was quite amazing. It blew me away. I remember the phone call. Joe said, 'I've got a surprise for ya. I'm not gonna tell ya. I'm just gonna mail your surprise to you.' (laughs) I went, 'Okay.' And knowing Joe Walsh, you never knew what that meant. (laughs) But he had sent me a 45. I looked at it. And I was...'Oh, "Hotel California."' And I didn't think anything. And then I turned it over, and there's "Pretty Maids All In A Row." I couldn't believe it. Casey Chambers: I want to jump back to your "Plantation Harbor" album. The song, "Sailor Man" is such a feel-good track. And the brass really works on that song. Joe Vitale: Yeah, that's the Chicago guys. Casey Chambers: Did you know those guys pretty well? Joe Vitale: Yes, I did. The reason I got to know those guys is because of Don Felder. Don and Jimmy Pankow were neighbors. Jimmy Pankow is the trombone player and leader of the horn section in Chicago. And we were at Don's studio once working on Don's record and I met Jimmy. Such a great band, Chicago. I got a lot of respect for that band. And they were fabulous to work with. They were in and out of there in like...twenty minutes. They were perfect. They played so good. Timothy B. Schmit sang on that album and on that song actually, I think. He sang on a couple of others, too. We had Stephen Stills and Graham Nash there. Anyway, that was exciting. We recorded the L.A. version of all that stuff when we did the overdubs. We recorded it at Graham Nash's studio. Years later, Crosby, Stills & Nash and Chicago went and did an entire year's tour together. Casey Chambers: You mentioned you were a Chicago fan. I am, too. What are a couple of their songs that you really dig? Joe Vitale: Oh man, jeez. I love their version of "I'm A Man." Because of the drums and percussion break in it. I've always loved that. I love the Peter Cetera ballads. They're beautiful. But I loved..."Beginnings." Love that song. They had such an...almost Latin flavor to their jazz. So for a drummer like myself to hear the drums and the percussion be that dominant in a song was really exciting. I became really good friends with Danny Seraphine, their original drummer. And I knew Tris Imboden, their other drummer...for years. Casey Chambers: Who are some of your favorite drummers? Joe Vitale: Some of my favorite drummers. Ringo Starr. Keith Moon. John Bonham. Let's see. Vinnie Colaiuta. Jeez, it goes on and on. Let me think. I love Jimi Hendrix, so I love Mitch Mitchell. And who else? Jimmy Gordon. But my favorite, favorite, favorite drummer is Ringo because he technically didn't do anything that was flashy or anything, but that stuff gets real boring. Ringo played songs on the drums. That's what I loved about him. Casey Chambers: I see you have a book out called "Backstage Pass." Great name, by the way! Is this about the rock and roll world you've been swimming in for most of your life? Joe Vitale: It's about my life and career, but it's also about my involvement with all the groups and people that I've worked with and recorded with. And toured with. All the hilarious stuff that went on backstage. In the studio. On the road. On the tour bus. On airplanes. You name it. It's about everybody I've ever worked with. There's no dirt. Just good times and a lot of funny stories. Plus there's tons of pictures. 750 pictures. Casey Chambers: I'm all about that! That's gonna hit the sweet spot. Music fans are gonna love it. Joe Vitale: Fans and any band will love it. 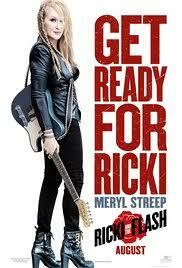 I did a movie with Meryl Streep in 2015 called "Ricki And The Flash"...and before we did the movie, she wanted a copy of that book. Casey Chambers: And in a movie with Meryl Streep, too! Note to self: Learn to play the drums. (laughs) Joe, this has been terrific. Very special to get to talk with you today. I really appreciate it. Joe Vitale: I appreciate the interview. It was very good, man.